The company Orbea S. Coop., with address at Polígono Industrial Goitondo, 48269 Mallabia, Vizcaya and Tax ID (C.I.F) F-20032348 organizes for promotional purposes the drawing (hereinafter, “the Promotion”) internationally, and for participants of legal age, according to the provisions in the section on the conditions for participation. The Promotion will start on Thursday, January 31, 2019 and will end on Thursday, February 28, 2019. • Anyone from any country can participate, as long as they are of legal age. • The personal information the participants provide on the entry form must be truthful. • Participants may only take part in the promotion through the Easypromos platform designed for this purpose. • Anyone who wants to participate must share their design on the Easypromos platform. All photos not taken using the MyO tool belonging to the Orbea S. Coop. will be deleted. • All entries with a fraud index above 20%, according to the Easypromos tool will be automatically deleted. The fraud control system detects vote buying, the use of fake and suspicious accounts, fraudulent votes and uses CAPTCHAs and systems of extra verification for greater security.  • Among all the participants, 16 models will enter the final round, 8 will be chosen by user votes and the remaining 8 will be chosen by Orbea S. Coop. • Voting for the 16 finalist models will be carried out through the survey option on Instagram Stories. • On February 22, we will announce the 16 designs that will go on to the grand finale on our social networks. • In no case shall the winner of the previous edition make it into the grand finale. If he or she were to make it to this round thanks to the user votes, Orbea S. Coop will veto their entry, and thus the next most voted entry will be selected for the sole purpose of there being a different winner. • The final winner will be awarded the bike designed in the competition. • In any case, Orbea S. Coop. reserves the right to declare the promotion null and void for any reason, and the participants shall have no right to any claim. If there is evidence that any of the participants fails to meet the requirements set out in the Contest Rules, or that the information provided to participate is invalid, their participation shall be considered null and void and they will be automatically excluded from the Promotion, losing any right to the prizes awarded by virtue of it. Likewise, Orbea S. Coop reserves the right to eliminate at their own discretion any participant who is deemed to have violated the contest rules, especially with regard to the voting system. Likewise, as indicated in Section 4, “Conditions of the promotion and prizes,” the winner of the previous edition cannot be among the 16 finalists. In the event that this occurs, Orbea S. Coop will veto their entry. No comments or opinions will be allowed with content that is considered inappropriate, offensive, abusive or discriminatory or that might violate the rights of others. Likewise, no comments will be allowed against an individual that violate the principles of the right to honor, personal and family privacy and one’s own image. We accept no responsibility for damages caused by the comments made by participants in the Promotion that might offend other participants. This waiver of liability includes, but is not limited to any possible losses, theft, delays or any other circumstance attributable to third parties that might affect the present Promotion. Furthermore, we accept no responsibility for the use the participant makes of the prize obtained from this Promotion. We accept no responsibility for cases of force majeure or unforeseeable circumstances that might prevent the Promotion from being carried out or the total or partial enjoyment of the prize. At Orbea, we process the information interested persons provide us for the purpose of managing their participation in “the Promotion,” and in the event that they have given their consent, to send them our newsletters and commercial and promotional communications related to our services. The personal data provided will be saved for as long as the relationship remains, according to the legally stipulated periods, notwithstanding any request for suppression by the interested party. On the date the service ends, the data will be blocked in order to prevent their processing, except for making them available to the Public Administrations and Tribunals in response to any possible responsibilities arising from the processing and only for the time period established for said responsibilities. The legal basis for the processing of your data in relation to the purpose of managing your participation in “the Promotion” is based on your consent, which you grant us by registering as a participant in the promotion and accepting these Terms and Conditions. The information on services and activities offered by Orbea is based on the consent you are specifically asked to provide. No data will be provided to third parties, except as required by law. Likewise, Orbea has signed contracts with different suppliers who process data on Orbea’s behalf in the event that this is necessary in the course of the service provision. Any person has the right to obtain confirmation about whether we at Orbea are processing their personal data or not. The interested persons have the right to access their personal data and to request the rectification of inaccurate data, or if applicable, request their suppression when, among other reasons, the data are not longer necessary for the purposes for which they were collected. Under certain circumstances, the interested parties may request a limitation to the processing of their data, in which case we will only save them for the exercise or defense against claims. Under certain circumstances and for reasons related to their particular situation, the interested parties can oppose the processing of their data. Orbea will cease to process the data, except for legitimate compelling reasons or the exercise or defense against any possible claims. Users shall have the right to portability, i.e., to have the personal data that they have provided transferred directly to another data controller in a structured, commonly used and mechanically read format whenever technically possible. We reserve the right to change or add to these promotional terms and conditions, as long as it does not undermine or hamper the rights of the participants in the Promotion. These legal terms and conditions shall be covered by Spanish law. The Courts and Tribunals of the city of Bilbao shall settle any claim or dispute that might arise with regard to the validity, interpretation or compliance with these terms and conditions.